What's the Difference Between Running Bamboos and Clumping Bamboos? What is the difference between running bamboos and clumping bamboos? And beyond whatever botanical difference exists between them, why is this important to know if you are a landscaping enthusiast? Once I give you the answer to these questions, you will understand why gardeners generally make such a big deal about buying the clumping type and fear the other kind more than a nighttime visit from Count Dracula. All bamboos spread via rhizomes. But whereas running bamboos (monopodial) have long rhizomes that are quick to spread horizontally, clumping bamboos (sympodial) have shorter rhizomes that stay closer to their point of origin and do not spread so rapidly. When it comes to using bamboos in landscaping, the question on just about everyone's mind is, "Will they spread too quickly and get out of hand?" To a large degree, the answer to that question depends upon whether the bamboos in question are running types or clumping bamboos. Thus the importance of the distinction and its relevance to landscaping. 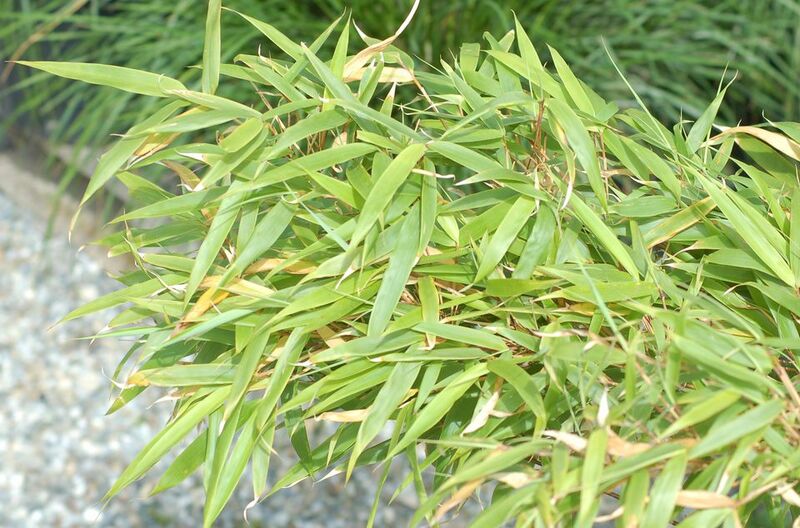 It is easy to see from the distinction presented above why running bamboos would be considered good candidates for the classification, "invasive plants." It is also easy to see why most people new to growing bamboo choose to grow one of the clumping bamboos. F. 'Rufa' Green Panda™ is popular because it stays relatively short (8-10 feet high) and is cold-hardy: grow it in planting zones 5-9. Although it is more sun-tolerant than some of the other choices listed here, it is still a good idea to plant it where it will receive some shade in the afternoon, especially if you live at the southern end of the zone range. F. nitida is equally cold-hardy but is taller (12-15 feet). F. robusta 'Campbell' also grows to 12-15 high, but it is not as hardy (zones 7-9). So what if you do choose to grow a running bamboo (their growth habit surely makes them tempting for folks seeking a living privacy fence), in spite of all my warnings? Or what if you are unsure whether the bamboo that you recently planted is a running or a clumping bamboo? Must you throw all caution to wind, or are there measures you can take to inhibit the spread of the invasive bamboos? The answer is to erect a bamboo barrier. Catmint Plants vs. Catnip - What's the Difference? Can You Grow Bamboos in Cold Climates? What Are the Best Growing Conditions for Bamboo?